Welcome to Daily Puzzle cheats blog. Find all daily Puzzle solutions date wise here. 7 Little Words January 18 2019 Bonus Puzzle answers are given below with its clues. Answers are given in blue color and clues are in red color. 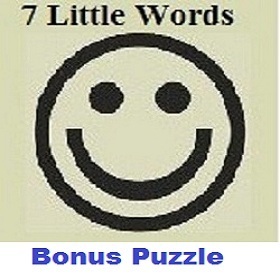 To check more previous 7 Little Words Bonus Puzzle answers click here.